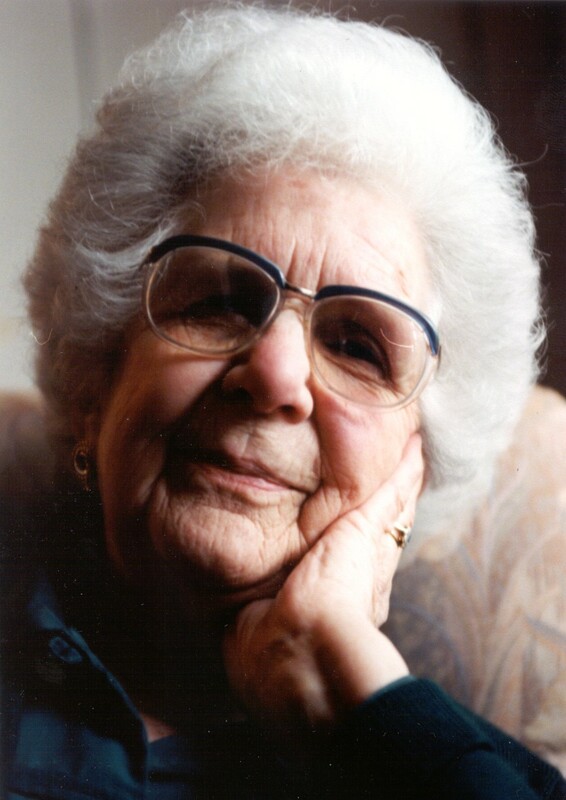 Joyce Stevens died in Huntington House, Hindhead on Sunday 12th August 2007 aged 93 years. Born on 22nd June 1914 to Percy & Nellie Suter in the old house now called 'Suters' in Headley High Street, and in which she was to live for 90 years, Joyce Mary Eileen Suter was their only child. Her great-grandfather William Suter had arrived in the Headley area from Portsmouth in about 1840 to work as a papermaker at one of the mills in Standford. Her grandfather, also a William Suter, was born in Headley in 1855 and took up the same trade, and in 1886 his only surviving child, Percy, was born. Percy did not follow his father's trade (papermaking in Headley was on the decline by then) but became a gardener. In 1912 he married Nellie Mary Sear from Bradwell in Buckinghamshire who had come to Headley as a governess, and Joyce was born two years later. During the First World War, the family moved briefly to Suffolk where Percy was engaged in war work - this was the only time in her life that Joyce lived away from the house she was born in. Educated at the Holme School in Headley, where her uncle Mr Amos was the headmaster, and then at Eggars Grammar School in Alton, Joyce also took to teaching and taught first in Alton and then Wrecclesham. She met her husband-to-be in Headley  Robert Plowden Weston Stevens who was a young teacher at the Holme School  but by the time they married in April 1942 he had joined the Royal Air Force. Tragically he was killed eight months later in a flying accident in South Africa. Joyce never remarried, but determined to support herself she completed her degree, became Head of the English Department in Woolmer Hill School, and made teaching her life career. At Woolmer Hill School, she taught alongside other ladies well-known in Headley: Marion Warren, Hester Whittle and Meg Wilkins. Along with the rector, Canon Tudor Jones, she founded the Headley Youth Fellowship which took groups of young people on trips to Scotland and abroad, and she was instrumental in founding Headley Theatre Club following the successful Pageant of Headley in 1951. In 1971 she renamed the house in Headley High Street which her great grandfather had bought a hundred years earlier and in which she was born, calling it 'Suters' so that her family name would be remembered. It is a house with a considerable history which she was proud to recount to visitors, having been constructed around 1520 perhaps as a community building for the parish, the early equivalent of a church hall. Joyce took an active role in community life in Headley, being Chairman of Headley Parish Council for five years from 1973 to 1978. She was also one of the first Governors of Alton College, and has a building named after her on the campus. Always a keen gardener, she was a regular exhibitor at the Headley Horticultural Society and became its President in 1981. In 1985 she founded The Headley Society, 'established for the public benefit and interest in the area comprising the civil Parish of Headley and the neighbourhood'. At the time she was advised that her plan to have monthly meetings with an invited speaker at each would not last more than a few months - but it is still going strong today. Joyce herself was co-presenter at the April meeting of the Society only this year when she assisted the current chairman to give an illustrated talk on her book 'A Parcel of Gold for Edith' which she had written seven years ago about her family history. A Memorial Service to celebrate the life of Joyce Stevens is to be held at All Saints' Parish Church in Headley at 2.30pm on Friday 7th September 2007. Donations will be sent to cancer research.